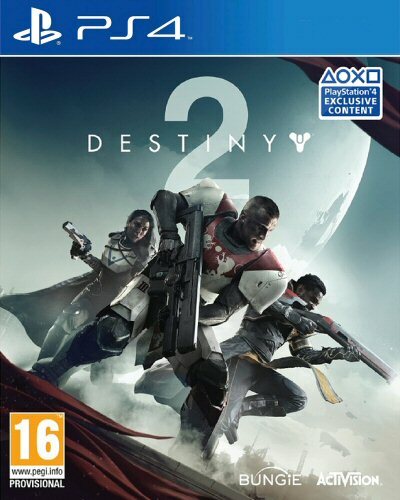 Buy Destiny 2 for PS4 in India at the best price. Screenshots, videos, reviews available. European Dead Zone: The largest destination yet featuring a lush forest, abandoned town, a cave system below the surface, and a Red Legion military base to explore and contest. Titan: One of Saturn’s Moons where Commander Zavala is regrouping at the hands of Ghaul. There is no land on Titan. Instead, players explore a series of Golden Age platforms surrounded by a rolling ocean. Nessus: a strange and unstable planetoid that has been fully consumed by the Vex where players will find Cayde-6 is caught up in his own adventures in a stunning landscape of sheer walls, lush canyons, and creepy Vex caverns. Io: A moon of Jupiter, where Ikora Rey has gone in search of answers. Io is the last known site the Traveler visited during the Golden Age, it’s now occupied by our enemies.